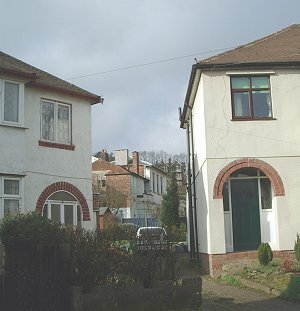 The houses in Lower Street whose history is given here are numbers 84 (now demolished and replaced by the Health Centre), 86A, 86 (The Beam House), 88 (The Old Ivy House), 90 (uninhabitable) and 92 (The Lowlands). 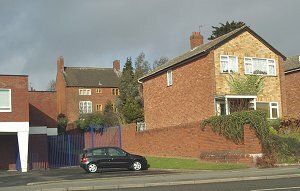 The photo shows (left to right) the Lowlands, the Old Ivy House and the Beam House. 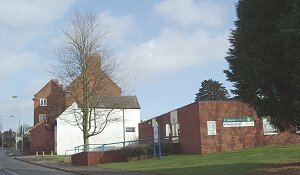 The name Tettenhall first appears in 910 AD in a reference in the Anglo Saxon Chronicle to a battle in which the Anglo-Saxons defeated the Danes. Domesday Book in 1086 records a church and the lands belonging to the church which had 1 villein, 3 bordars and possibly 4 priests. The recorded population of the whole area was 48. In 1327 19 tenants of the church were assessed for the required subsidy; they probably lived in Lower Street. By 1666 there were 27 inhabitants assessed for Hearth Tax, with a further 13 too poor to pay. In 1780 there were 332 houses, over two thirds of them cottages or small houses with no land except gardens; 98 of those were probably in the Lower Street area. By 1810 the population was 1,570. By the mid-19th century the population of the area was largely artisan; spectacle-frame making was carried on as a domestic industry, but many inhabitants probably worked in Wolverhampton. By 1910 the population, including Wrottesley parish, was 6,549. Tettenhall has always been a rural area. It had two centres. One by Lower Green and along Lower Street, and the other at Upper Green. The former is the older of the two. In the Middle Ages Lower Tettenhall belonged to the church of Tettenhall. It included the manors of Aldersley and Barnhurst as well as Bilbrook. This land was sold to the Wrottesley family and, later, to Richard Cresswell of Barnhurst. Richard Cresswell's son Richard sold some parcels of land in 1709 to a Mary Norton, widow, who was already living on one of the parcels, in a house called Norton's Croft, later to be renamed the Lowlands. 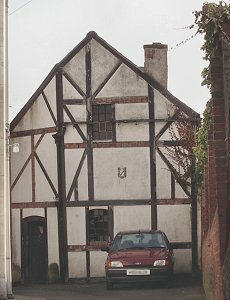 The deeds say that Mary Norton, a widow, bought a "messuage cottage or tenement with barn, stables, outhouses, gardens, orchard and hempbutt in Lower Street where she now lives". Ordnance Survey map of 1920 showing the houses. The Lowlands as it now is. Thomas, Mary's son, who was a stonemason, inherited all from his mother and built a large house next door (Nos. 86 & 88 today). This was before 1729 when the tenant was Thomas Oram. I think No.86A was the stables to this house. In 1730 Thomas Norton sold this house to John Sansome for £53. And in 1763 Thomas Watkins, who was described as a farmer, bought the house for £47.5s.0d. 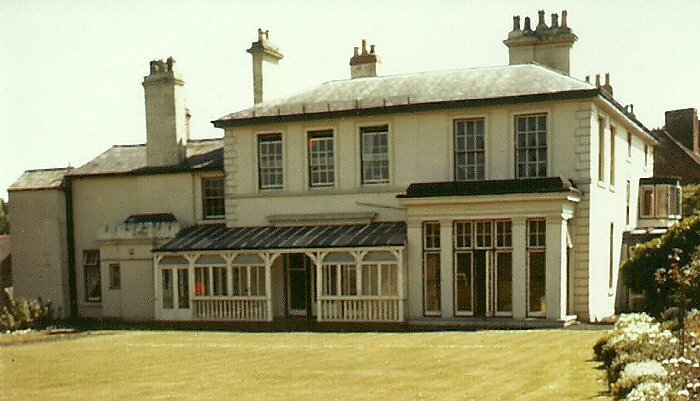 In 1764 Thomas Watkins bought The Lowlands, on one side of his house, and the house (now demolished for the Health Centre) on the other side, for £100. He now owned three houses in a row. During Thomas' ownership the middle house of the three was converted into two dwellings. These are today numbers 86 and 88, the Beam House and the Old Ivy House respectively. (These house names are of recent origin. 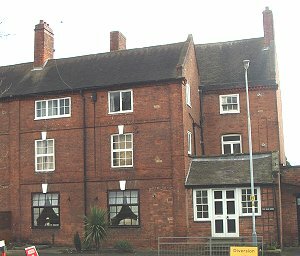 The Beam House, which is much the larger of the two, has been converted into flats and greatly extended at the rear; whilst the Old Ivy House is still in single ownership.) By this division Thomas now came to own four houses in a row fronting Lower Street. After the conversion the occupier of the Old Ivy House was a Richard Smith and the occupier of the Beam House was a Mrs Underhill. 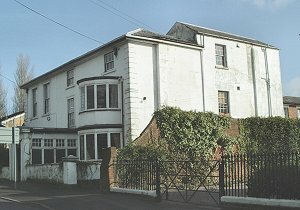 The Old Ivy House and the Beam House as they are today. The Old Ivy House today. In October 1785 the properties were sold. The now demolished house (for £53) and the Old Ivy House (for £157) were sold to Benjamin Higgs, brushmaker in Wolverhampton and farmer locally. Thomas Lawence Foley had been a tenant of the Old Ivy House but it was untenanted when sold. It had the Beam House (which John Underhill, son of Mrs Underhill, had bought) on one side and the Lowlands (by now owned by the Prettie family) on the other. The Lowlands had also been extended and was now a much larger property because Robert Prettie had allowed his two sisters to build onto his house. This is possibly the white Regency frontage seen today. In 1814 Robert Prettie sold The Lowlands to Mrs Derrington; and a small plot, which he owned at the end of The Old Ivy House garden, to Benjamin Higgs. 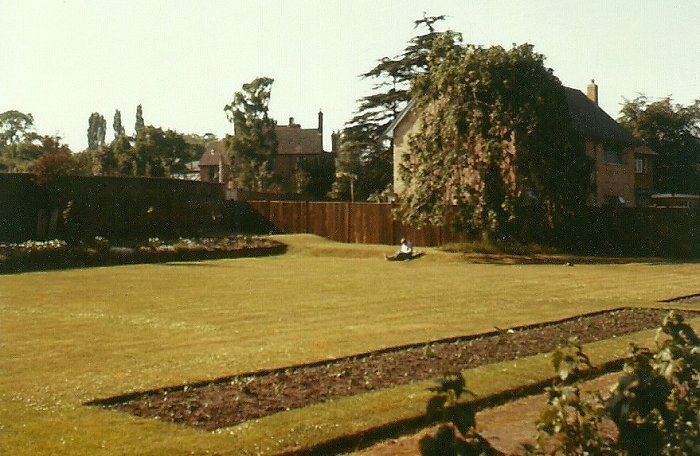 The Old Ivy House garden now extended to the Aldersley Road. 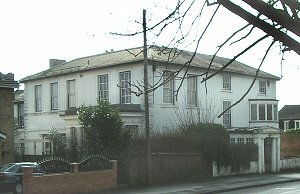 Benjamin Higgs became the owner/occupier of The Old Ivy House and lived there until he died in 1836 at the age of 87 years. He had married in Tettenhall. His death is recorded in the Tettenhall parish register, as is that of his wife, his mother and also one of his nephews and that nephew's son, who were both named Thomas Higgs Ward. In his will Benjamin left his properties to another nephew, William Ward, ironmaster, of Priestfield Iron Works and Colliery, Bilston, provided he paid £800 for them. Charles Higgs was the executor of Benjamin's will. No. 90 as it is today. Thus in 1837 William Ward, having paid the £800, became the new owner of the properties. There is no evidence that he ever lived in the Old Ivy House. William Ward had married Ann Swift in 1827, at St. Peter's, where they eventually had their four children baptised. Anne died in 1834 and William died of cholera in 1849 at his home in George St. Wolverhampton. In 1854 the Old Ivy House and the now demolished house were auctioned and William Warner bid £750 for them and became the new owner. He was already living with his family at The Lowlands, which he owned. He was an ex-Wolverhampton Grammar School boy, a magistrate and an alderman of Wolverhampton. 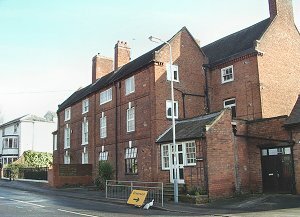 He owned a draper's business at 20 Queen Square, Wolverhampton, which had possibly been his father's firm. Earlier, in 1851, William Warner was made the Mayor of Wolverhampton and met the Royal Family when they visited the town during his time in office. He now owned three houses. The Beam House was between his houses and was in the ownership of William Jones, with Mrs.Fowke as the tenant. The Health Care Centre, the site of No. 84 Lower Street. The entrance to Crane Terrace. In 1881, eight years after William's death, the houses were sold. At this time, in the Lowlands, the family of Charles Crane, ironfounder, were in residence. They lived there for at least 20 years as they are shown living there in the 1901 census. 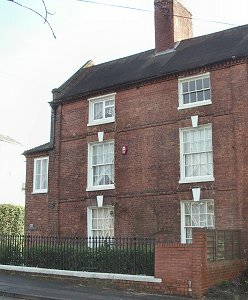 William L. Jones, a canal manager living in Blakely Green, bought both houses for £700: the Beam House, in which he was to live, and the Old Ivy House (then called Leslie House), which he let to a Frederick Jones. When Frederick (no relation) died the house was let to James McEwen, ironfounder. During William Jones' ownership of the Old Ivy House he sold off the land at the end of the garden which Benjamin Higgs had bought, so that the Old Ivy House no longer bordered Aldersley Road. 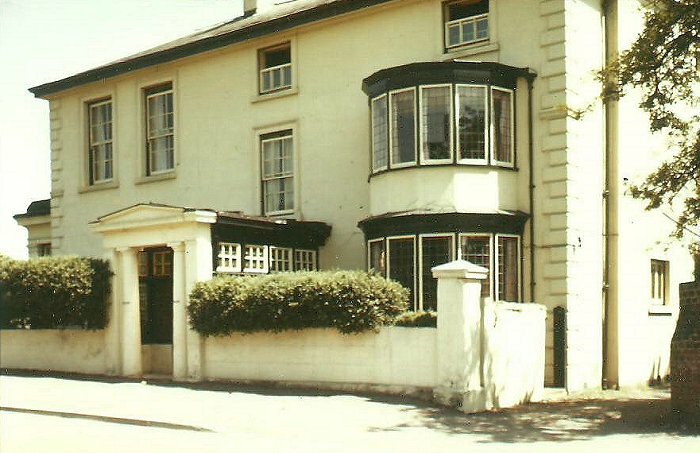 In 1899 the Old Ivy House was let again, this time to William Lees and family. They had been living on the Tettenhall Road and were an old Wolverhampton family. William Lees's son Gerald eventually bought the house in 1914 after William Jones died. Gerald was killed during the 1st World War but another brother, Lawrence, then bought it; then Eustace Lees bought it from his brother in 1929 and lived there until he died aged 82 in 1955. He paid £870 for it. The back of the Lowlands, seen from Crane Terrace. The gardens used to run down to here in Alderseley Road. Eustace was a major in the Royal Berkshire Regiment. 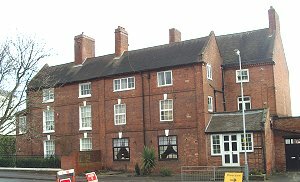 On retirement he became Secretary of the Wolverhampton Eye Infirmary until 1946 and had connections with the Royal School. He was very friendly with his neighbour in the Beam House called Colonel Gibbons. He wrote a satirical epic poem called "The Smestow", which was published as part of the successful (for the time being) campaign to stop Wolverhampton taking over Tettenhall. In 1955, after the death of Eustace Lees, the Old Ivy House was bought by the landlord of the Mitre public house on Lower Green. He only stayed for two years before selling. In 1957 the house was bought by a well known local architect and his wife. Charles Geoffrey Percy probably wanted this house for his retirement because he set about making many changes. Another view of the Lowlands. The brewhouse at the back was closed up and a door into the house was knocked into a side wall and this became a kitchen. Fireplaces were ripped out, a conservatory built and a garage on the side. The old character of the house was lost and became typical 1950s in style. Charles Percy died in 1963 so he did not have very long to enjoy his retirement. The house is now divided into flats and one of the present residents reports that not many interior features are left but there is "a wonderful tiled hall, and the staircase is fantastic. Out back the veranda is there- albeit in pieces". In March 1977 the Old Ivy House and the Beam House were listed Grade II under the Town and Country Planning Acts. This was in consequence of a decision to list all buildings built before 1840. With respect to the two houses, they hardly have any architectural importance and certainly have no historical interest. 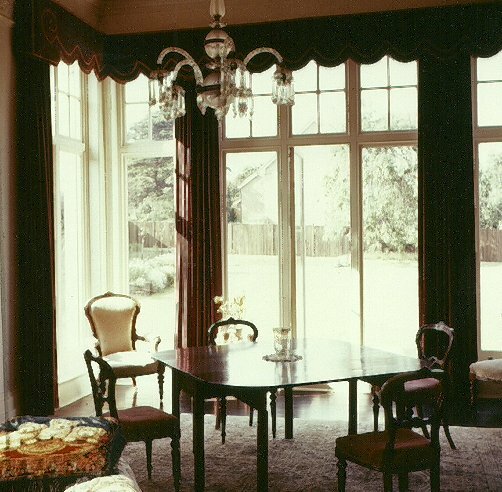 Two other families have lived in the present house before the present owners who bought it in 1999. One of these sold yet more garden at the back. Now there are some maisonettes built on the land, which fronts on to Crane Terrace. Crane Terrace was probably named after Charles Crane (ironfounder), who once owned the Lowlands, as part of his land adjoins these maisonettes. A window in the porch of the Lowlands. The following information, and the photographs of the 'Lowlands' were kindly sent by Mary Lea, who now lives in Adelaide, South Australia. In June 1957 following our marriage, we lived in what was then known as 'Lowlands' until 1960. At that time the property was owned by George Maxwell (Max) and Lily Oliver (Mick). I had grown up in nearby Blakeley Green and had walked past the walled garden of 'Lowlands' many times wondering what was on the other side. There is a large square hall with the staircase on the far side from the front door. The house was divided into several flats. Our flat consisted of the lounge as can be seen in the attached image. In addition to the large chandelier, there were two small crystal wall lights on either side of the white marble fireplace. 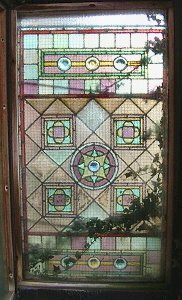 There was also a small stained-glass window. Our small kitchen was across the hall. Our large bedroom was on the first floor, a rectangular room with a wash basin. We shared the bathroom with other tenants. The lounge on the ground floor with the bay window facing Lower Street was occupied at that time by an Army Officer. Living away from home, he made use of the evenings to machine knit garments for his family. (We could hear the machine clicking). Mick and Max had the large lounge next to ours. There was a self contained flat at the back of the house and another on the upper floor. The large cellar was used mainly for storing coal. The 'Lowlands'. Courtesy of Mary Lea. The large garden at the 'Lowlands' on a fine sunny day. Courtesy of Mary Lea. The out buildings, formerly the stables were used to garage motor vehicles. Max wanted to change the outside of this building and my husband drew the design for the half timbering look. The garden was full-size in 1957. A lovely willow tree in the centre and flower borders around the edges of the lawn. However, half of the garden was sold and two new homes were built. According to the 1939 Register now available on the web-site 'Find My Past', the people living in the house were William S. Robinson (b.1888), Resident Secretary of an Insurance Company, Margaret Robinson (b.1897) and Edith J. Robinson, Widow, (b.1864). James C. Wilson, Electrical Engineer and Beatrice Jenks (Munday) b.1915 Paid Domestic. 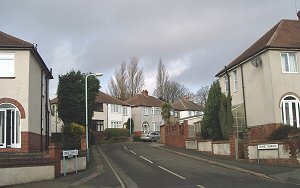 The 'Lowlands', as seen from Lower Street. Courtesy of Mary Lea. The lovely lounge in the 'Lowlands'. In 1939 at the age of six I attended Tettenhall school for a while. We used to walk to and from the school. I remember the Post Office in Lower Street which was a room of an old cottage and the old lady who was in charge. She was always in a bad mood. She kept a goose in the garden which would hiss as you walked past. On the opposite side of Lower Street there was a small general store where we bought sweets when we had a spare halfpenny or a penny! We have noticed when visiting the area how 'Lowlands' seems to have deteriorated over the years which is a pity as it is a lovely house. If anyone has any further information about these houses or their occupants, please contact the webmaster.